Ketilbjôrn and Þorbjôrn and Þorketill and Farmaðr and Sveinn raised the stone in memory of Ígulbjôrn, their father. 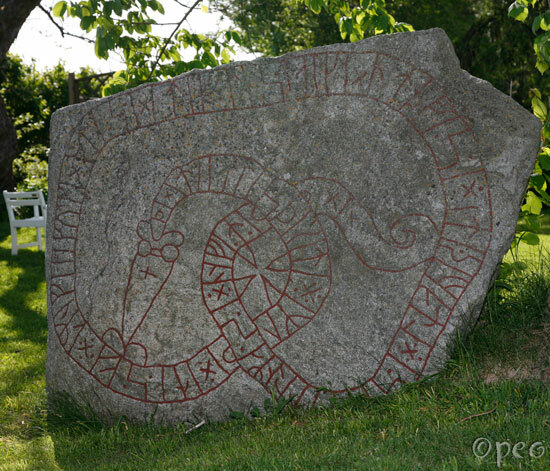 A beautiful rune stone. Five sons raised it after thier father. For a close-up : point at it. 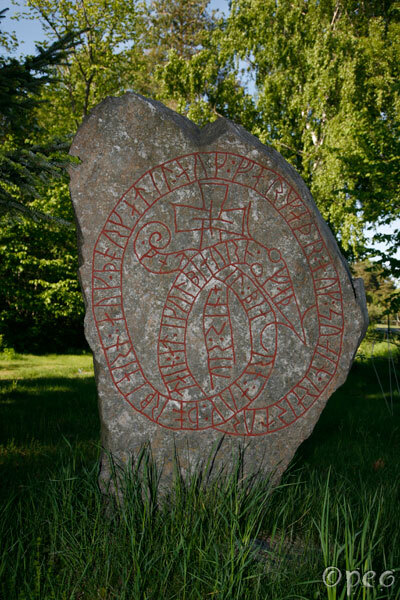 Another beautiful rune stone which is standing in the same private garden as the upper one. This one contain signs that look like runes, but which ain't. It was probably carved by someone who was illiterate, but with an artistic feel.